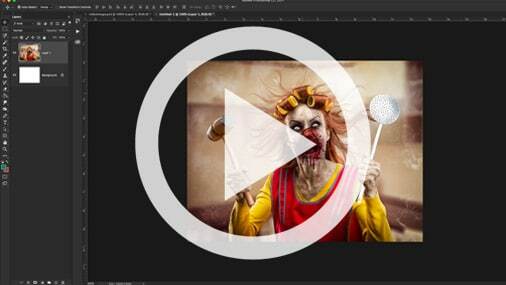 Easily transform your portraits into Zombies with our Zombie Photoshop action. Learn all the tools to customize too. Once you know how to create a Zombie, from the Photoshop action, I’ll then walk you through all the different tools, tips and techniques that I use to create custom Zombie portraits – 1.5 hours of advanced Photoshop editing. See video, to the right, for more info on the Zombie action and course.